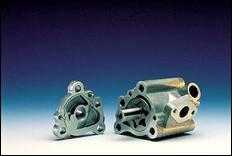 Synthetic lubricants are a product of the trend towards increasingly complex industrial and automotive equipment designed to meet ever more severe operating conditions - such as extremes of temperature in the operating cycle, the need for sealed-for-life components or extended overhaul periods. In these cases the equipment has exceeded the performance capabilities of conventional mineral oil based lubricants, and created the need to develop synthetic oils. This article provides an introduction to the wide-ranging topic of synthetic oil and synthetic lubrication. When we talk about synthetic oils we are describing the base fluid which, as in conventional lubricants, acts as a carrier for conventional additive packages. It is worth mentioning here that many of the properties normally imparted to the conventional mineral oil by the additive packages are often inherent to the synthetic base fluid. The following short definitions of the terms often used by those involved in the lubrication business will be helpful as a start to this article. Mineral oils - Lubricants whose base stocks are derived solely from direct distillation and separation of crude oil. 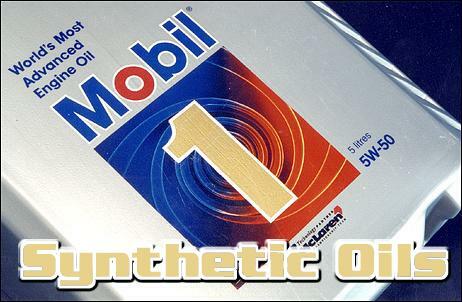 Synthetic oils - Lubricants whose base stocks are pure chemicals. They are not based on the simple refining of crude oil but are manufactured by the conversion of certain chemicals into synthetic bases with controlled structure and predictable properties. 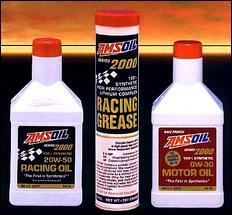 Part or partial synthetics - These are mineral oils blended with synthetic oil. This has the effect of combining the desired features of each into the single oil. The term semi-synthetic is sometimes used to describe these oils. This is misleading as this term is used to describe a quite different fluid as shown below. Semi-synthetics - These oils use the same raw material as mineral oils. 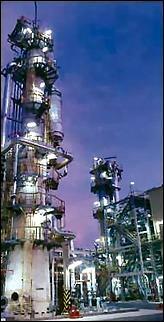 However, the oil is further chemically manipulated after distillation. This process removes many unwanted compounds (such as those containing nitrogen, oxygen and sulphur) and converts many of the sludge-forming compounds into less reactive hydrocarbons. All synthetic base fluids are not the same. There are many useful classes for the production of lubricants. The principle classes have proved to be esters, phosphorus esters, polyalkylglycols and synthesised hydrocarbons or polyalphaolefins. There are also classes within classes and the characteristics and performances of a synthetic base oil can vary considerably from one chemical structure to another. Selection of the correct base fluid for a particular application is important. Esters are manufactured from organic acids and alcohols. Essentially the ester type products exist in one of three main forms. Diesters are the simplest structures used as lubricants. They give limited size compounds and therefore limited viscosity. There is little to be gained by using high weight raw materials as this nullifies the benefit imparted to the structure by the synthesis. Complex esters are based on more complex chemicals, requiring several stages in their synthesis. This allows for the synthesis of high weight compounds with properties more akin to diesters than pure hydrocarbons of a similar molecular weight. The third group is that of the hindered or polyolesters. They are products of complex acids and alcohols. This greatly increases the thermal stability of the finished ester. Due to the wide range of raw materials, the scope and variety of these fluids is virtually infinite. This enables producers to tailor the compounds to fit an exact niche by varying the complexity of the starting materials. A major advantage of the ester base stocks lies in their chemistry, which causes them to be attracted to metal surfaces giving them excellent boundary lubrication and high additive solvency characteristics. This, coupled with a high natural viscosity index, means they are able to offer about double the load-carrying capacity of mineral oils. The high natural viscosity index ensures that working viscosities at a given temperature are superior to those obtained from mineral oils. They have a high thermal stability which results in greater engine cleanliness and lower deposits. Oxidative stability can be affected by certain reactive sites in the polyolesters, but by appropriate design of the structure, it is possible to eliminate most of these and significantly improve oxidative stability. The volatility of ester base fluids, specifically the polyolester types, is by far the lowest in the synthetics family. A polyolester with a viscosity of 4.4 cSt at 100&? ;C has a volatility of just 2%. The reason for this can be shown by a gas chromatograph of a mineral oil and a typical synthetic oil. Esters are relatively biodegradable but the process is very slow under normal operating conditions. For applications where stability or biodegradability is important, it is possible to design an ester lubricant with the desired properties. Most of these compounds are made from naturally occurring acids and alcohols and are therefore generally accepted as being non-toxic. While it is true that certain ester types can swell seal materials, polyolesters have the definite advantage that they can be used with nitrile rubbers, the type most commonly used in mineral oil applications. They are generally compatible with all mineral oils. Where these compounds are used in fire resistant applications, it must be noted that they are not truly fire-resistant and rely on high chemical weights and special additives to confer this property. Initially developed for the lubrication of gas turbines, phosphate esters have played a crucial role in the reliability demanded by the aviation industry and are still extensively used in this field today. Phosphate esters are synthesised from compounds obtained from coal tar. These 'natural' esters are complex mixtures often containing the toxin ortho-cresol. For this reason there has been a move towards the 'synthetic' esters made by reacting high purity chemicals to produce synthetic non-toxic cresols, which are then combined with phosphorus. The resulting esters contain only trace amounts of ortho-cresol, and are classified as non-hazardous. As with the organic esters, the scope and variety of synthetic phosphorus esters is virtually limitless, with chemical tinkering able to produce products for specific applications. The high phosphorus content of these chemicals confers fire resistance and antiwear properties to the base oil. Their chemistry, as in the polyolester, gives them excellent boundary lubrication properties. Phosphate esters are excellent solvents which makes them ideal for additive solubility but they do cause seal, hose and paint compatibility problems, so great care should be taken when choosing materials. The use of VITON? is recommended although there are alternatives. Phosphate esters are small compounds which gives them great shear stability but results in a low viscosity index. This can be improved by using more complex chemicals in their synthesis. 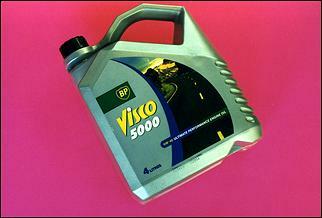 As with most other synthetics, they also have low volatility at a given viscosity. The chemical join to the phosphorus is a particularly stable arrangement and gives these chemicals good oxidative stability at high temperatures. As with all esters, they will react with water, but under normal operating conditions this is a very slow process and even under severe application creates no serious problems. The toxicity of these compounds is an emotive subject and it is mainly because of these concerns that the organic esters have gained ground. The new 'synthetic' phosphate esters with their minimal ortho-cresol content, have a very low level of toxicity and do not present any undue hazard, requiring only normal good industrial hygiene procedures when handling them. Unlike PCBs which are still extensively used in favour of these products in the electrical and mining industries, phosphate esters are biodegradable. 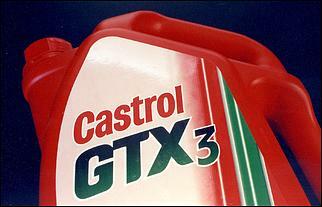 Commercial production of polyalkylglycols in the 1930s began as a replacement for castor oil in automotive brakes. As a lubricant, production began in the 1940s by the Germans because of their need for low temperature lubricants during the Russian winter. In addition to their jet engine development, they needed a lubricant that could withstand the high temperatures associated with gas turbines. On both counts polyalkylglycols solved their needs. They are prepared from very simple organic compounds which are joined together repeatedly (polymerised) using a catalyst. The reaction can be controlled to such a degree that oils with viscosities ranging from 8 to 19000 cSt can be prepared, with little distribution. By varying the proportions of the starting materials it is possible to make these compounds water-soluble or increasingly oil-soluble. Perhaps the biggest application for polyalkylglycols as a lubricant is in fire resistant fluids, especially in industrial sectors such as steel production and mining where leaks in high-pressure hoses onto hot surfaces can have catastrophic consequences. They have also found a niche in the textile industry where excellent gear lubricity is matched by the ease of washing the water-soluble oils from the finished fabric. All polyalkylglycols absorb water from the atmosphere, and must be protected from moisture contamination. However, approximately 5% water can be tolerated without affecting the lubricant's antiwear or EP characteristics. The mixed polyalkylglycols exhibit good low temperature characteristics - better than a mineral oil of equivalent viscosity. At high temperatures polyalkylglycols need additives to improve thermal stability but only up to approximately 250&?;C. These bases cannot be used above this temperature. However, when thermally stressed, polyalkylglycols form gasses or other soluble products as opposed to sludge. All polyalkylglycols have excellent viscosity indices ranging from 160-400. As with low temperature characteristics, this is dependent on the way they are produced. Polyalkylglycols are not oxidatively stable and need antioxidant additives, but the life of addivated polyalkylglycols is longer compared to mineral oils under the same conditions. Polyalkylglycols have a high natural lubricity with high adhesive and load carrying capacity. For the same reasons as the esters, their chemistry makes these compounds relatively polar. Nevertheless they are compatible with most seals and plastics, but not many paints. Polyalkylglycols, although slow to degrade, have a very low toxicity. They are often used in applications where fluid may unavoidably enter the water such as dredgers and water treatment plants. As a word of caution, if an application is being changed from a mineral or polyalphaolefin based lubricant, then care should be taken that as much of the original fill is removed prior to the addition of the polyalkylglycol. About 1% mineral oil content is the maximum level that can be tolerated. If going in the reverse direction, it is essential that all the polyalkylglycol is removed. The highly polar or solubilising nature of the polyalkylglycols will preferentially dissolve any additives from the new fill, forming a concentrated sludge and leaving an unaddivated oil to do the job. As with the other synthetics, polyalphaolefins started their commercial life in Germany during the war due to a shortage of petroleum base stocks and their ability to perform over larger temperature ranges. Polyalphaolefins are synthetic hydrocarbons. Unlike the hydrocarbons that make up mineral oil, they are chemically pure liquids and are made from catalytically polymerised ethylene. The resulting products are treated to remove any reactive compounds and then separated according to their viscosities. Polyalphaolefins can, with the correct use of additives, make most types of lubricant or functional fluid. These fluids are currently finding great favour in the automotive industry in the drive for low viscosity and low emission oils to improve fuel efficiency. As with other synthetics, each viscosity grade is a definitive chemical compound and so there are no light ends to boil off, allowing for the use of much lower viscosity base oils. Due to their structure, polyalphaolefins have low temperature ability when compared with a mineral oil of similar viscosity. For the same reason these compounds also have a high natural viscosity index and resistance to shearing. This allows for the formulation of wide temperature and multigrade lubricants with little or no V.I. additive. Although not overly resistant to oxidation at elevated temperatures, they respond well when treated with small amounts of antioxidants, and become more stable than a conventional mineral oil at similar temperatures, with less tendency to form deposits when in service. Polyalphaolefins demonstrate superior resistance to any reaction with water compared with all the other synthetic and mineral oils. Their pure hydrocarbon structure actually repels water which favours low water pick-up and minimum emulsification. They are also fully compatible with mineral oils. This is not all good news though. For the same reasons, polyalphaolefins are not good additive solvents and they have a tendency to shrink seals. However, this is easily remedied by the addition of small amounts of ester-based fluids to the formulation. It is important to recognise that some synthetics are not necessarily interchangeable either with other synthetics and/or mineral oils. Equipment manufacturer's recommendations should be consulted before deciding on a particular type of synthetic lubricant. The use of a synthetic in a unit not suitable for it may cause difficulties, especially with respect to seal compatibility, paints and plastics, although material that is compatible with these lubricants is available in all areas. Perhaps the most pertinent point of all is that, compared with conventional mineral oil formulations, no synthetic oil is cheap. Their real value lies in their ability to provide a unique solution to a lubrication problem and in such instances their cost can only be set against the value of the solution they provide. In the case of less unique and demanding problems where performance is not the absolute criteria, the higher cost of the synthetic may be set against a lower oil consumption, lengthened drain periods, increased parts life, longer overhaul life or reduced maintenance costs. 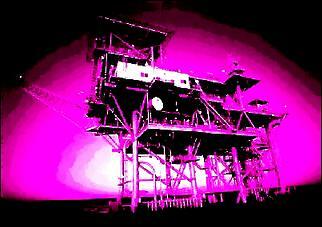 Here a realistic economic balance must be calculated to assist in the selection of a particular lubricant type. *Neil Robinson B.Sc. (Hons) works for WearCheck Africa, the leading oil analysis company in Africa serving the earthmoving, mining, freight, passenger transport, rail, aircraft and marine industries, as well as the industrial sector.